my dear friend Jan Hahn. 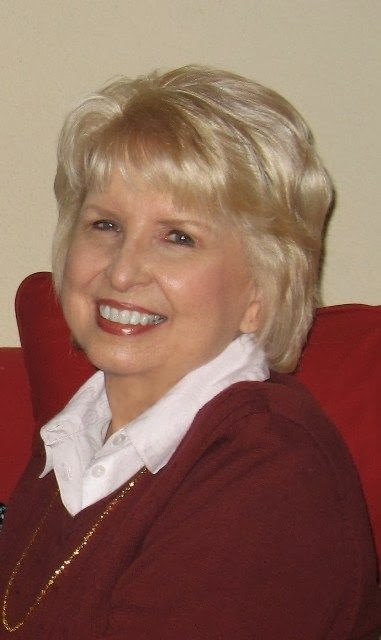 Today Jan has agreed to talk to us about her newest release, The Secret Betrothal. I have been so excited about this book and its release. Ever since I first read it at DWG, I had hoped that Jan would publish it someday. For all of us readers, that day is almost here! Following are Jan's answers to some questions that have intrigued me since that first reading. So without further delay, please join me in welcoming Jan Hahn. Your latest book is a reworked, enlarged version of a story you wrote in 2003 called The Engagement. I’m interested in your writing process. Before you began writing, what ideas or inspiration sparked this story? Since my first idea for the story occurred way back in 2003, I’m not sure I can remember it; however, I do know that I was intrigued by Jane Austen’s treatment of secret engagements in her books. Money always seemed to play a major part in the need for secrecy. I was also interested in what happened to women who transgressed the moral or social code of those times. I’m thinking of Maria Bertram who came to a sad ending in Mansfield Park. I certainly didn’t plan for Elizabeth Bennet to repeat Maria’s mistake, but I wondered what wrong she might commit that would dare to destroy Darcy’s love for her. I wanted to watch Darcy truly search his soul and determine exactly how much he loved Elizabeth. If his pride caused him to propose to her in such an insulting manner simply because she had low connections and a less than perfect family, what might happen if Elizabeth actually erred in a manner that caused gossip and scandal? It’s funny how you worded the sentence, “I wanted to watch Darcy.” It sounds as though you don’t know what he will do even though you are the author. Other writers talk of characters taking over a story and veering off into something the author never planned. Does this happen to you? All the time! Those pesky characters think they are in charge! I never intended for Wickham to do some of what he does in this story, but all of a sudden, off he went, and I felt like I was following him down the path just to see what he would do (and he’s not the type of man I like to follow). That is amazing to me when I hear of authors talking of their characters leading them. I don’t think I would want to follow Wickham too far either! Now let’s talk about the setting. The story begins in Hertfordshire, moves to Kent, and eventually to Brighton. Why Brighton? That’s easy to answer: because I love the sea. Like many, I consider it highly romantic, and I wanted to place Elizabeth and Darcy on the beach. I just had to devise a plan to get them there. I like how you put Darcy and Lizzy on the beach. Those were some very memorable and romantic moments. What about research? Did you have to do much research on Brighton? 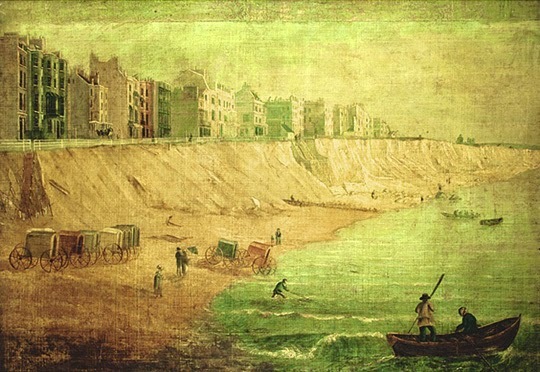 In the beginning, I knew nothing about Brighton other than what Jane tells us in P&P. I did read as much as I could about the place. Brighton is famous for a well-known doctor named Richard Russell who treated people with seawater. I found that fascinating and decided I needed a medical reason for going to Brighton. Although Dr. Russell died before my story took place, I decided to create a physician who followed Dr. Russell’s methods. I briefly mentioned Martha Gunn in the book who was an actual person considered an expert at taking people into the ocean and “dipping” them by vigorously plunging the visitor in and out of the sea. Since Dr. Russell advocated the healthy effects of bathing in the sea, Martha Gunn had plenty of patients. I’ve always loved Mrs. Bennet and her younger daughters’ desire to go sea-bathing, but I wonder whether they would have enjoyed Gunn’s expertise. 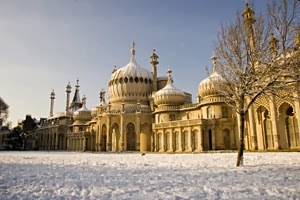 Of course, it’s common knowledge that the Prince Regent liked Brighton and built a palace there. My story takes place before his pavilion is built, but I was able to refer to him. One part of my setting in Brighton that is pure imagination is the large rocks I place on the beach. The portion of the shore upon which Elizabeth walks is some distance from the main beach, so I used creative license to place some rocks there because I wanted them to be a necessary part of the story. I am glad that you took that license with the rocks. The scenes there are some of my favorite parts of the story. Are there other instances where you employed creative license instead of abiding by your research? Well, from what I’ve read about the waltz, even though it was known on the Continent, England did not embrace it with open arms (pardon my pun). When it was introduced at the Prince Regent’s ball in London in 1816, The Times termed it “an indecent foreign dance.” I chose to include it at a significant ball in Brighton. Charades was a rhyming riddle, such as the verse used in Emma that made poor Harriet Smith think Mr. Elton was in love with her. Today, it’s a miming game, and I had Colonel Fitzwilliam introduce it to Elizabeth and Darcy because it reveals some important facts. On a personal note, Charades is a favorite game of my family. When all 18 of us get together during the holidays, we always play several rounds of Charades. Having the waltz at the ball in Brighton was a swoon-worthy moment! 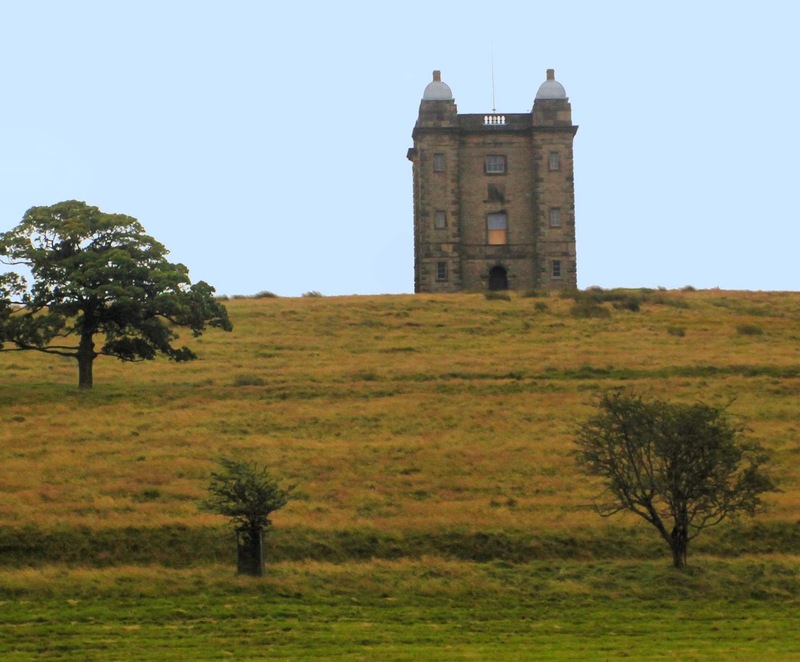 (sighs here) Moving on─at Pemberley, you have some scenes take place at a folly on the property. What brought this about? In 2012, I was fortunate to visit Lyme Park in Derbyshire, the setting for the 1995 version of Pride and Prejudice. 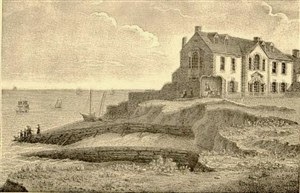 Some distance from the house up on a rise, there’s a tall tower that some people referred to as a folly. It’s called “The Cage.” In the past, it had actually been a gamekeeper’s lodge and even a jail. In the 2005 version of Pride and Prejudice, I fell in love with the folly where Darcy’s first proposal took place. I wanted a prettier, more graceful building for Pemberley. I found pictures of Fountains Abbey in North Yorkshire and decided that a smaller version of those ruins would be the perfect folly for my story. Ooh, the folly of the first proposal in the 2005 movie is so beautiful and creates an extremely romantic setting. Too bad the proposal did not end as romantic as it started. Wanting the folly for part of your story leads me to my next question. Do you have a muse that causes your story to lead you at times or do you use an outline and follow it religiously? What is your writing routine? I write strictly by the seat of my pants other than I always know the ending before I begin. Outlines seem to take the fun out of writing for me. I sometimes write a short synopsis before I begin but nothing like a detailed outline. I tend to make outlines in the middle of writing the story if I need to keep track of ages or time that has elapsed. I wish I had a writing routine! I’ve always admired people who get up early and write at least four hours, but I’m not an early morning person. I write slowly, and after two hours I feel as though I’ve been digging ditches! I love rewriting, though. I can edit my work forever. Publisher’s deadlines were made for people like me, or else I’d never stop changing things. I probably answered this question earlier when I said I wanted to write a story wherein Darcy has to search his soul to see whether he truly loves Elizabeth. My favorite scene is the confrontation between Darcy and Colonel Fitzwilliam when the colonel points out some hard truths that Darcy does not want to face. I also had fun with the Mistletoe ball. Oh yes, both of those scenes are emotional and touching. Since both involve Darcy I have a very important question for you. We all have our special reasons for loving Mr. Darcy, what are your reasons? You mean aside from his looks, his fortune, and Pemberley? All kidding aside, I love Darcy because he is a good man, he’s honest, and when he’s wrong he’s willing to change. I can’t ask for much more than that. Thank you, Janet, for allowing me to introduce The Secret Betrothal on your lovely blog. I also want to thank you again for the beautiful artwork you did for the front and back covers of my book. Do Darcy’s efforts to win Elizabeth succeed, or does his sworn enemy lead her to the altar? Jan, I am so thrilled that you agreed to stop by and talk with us about this new release. Your answers were informative and intriguing. As for the cover art, it was my privilege to be asked to do it for you and Meryton Press. Several years ago Jan reintroduced me to Pride and Prejudice. She even loaned me her DVD of the 1995 miniseries. (not sure I would have done that) The first PnP alternate path that I ever read was Jan's An Arranged Marriage and I haven't stopped reading since! Later she told me, "Oh, I forgot to mention that JAFF can be addicting!" Her warning came a little too late. I guess I can truthfully say that all of this is because of you, my friend. Thank you for introducing me to the wonderful world of JAFF. 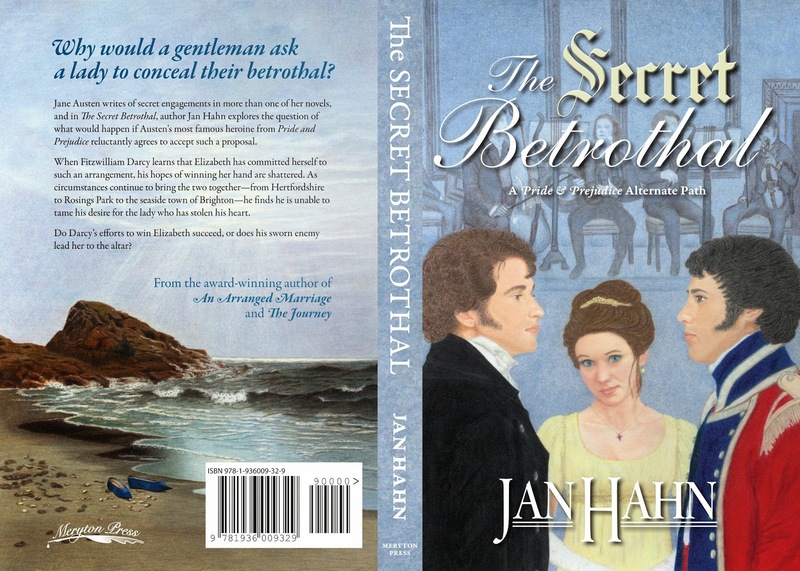 Michele Reed and Meryton Press are having a giveaway of The Secret Betrothal by Jan Hahn. There is one trade paperback and one eBook generously being offered. Two winners will be randomly selected from the comments. Please have your share in the conversation so that you may be entered to win either the trade paperback or the eBook. Please note that the book has not yet been released but should be by the end of the giveaway and it ends at midnight, February 17. Oh I love this idea. I can't imagine how Darcy would act when he found out that Elizabeth had entered into a secret engagement. Your interview was wonderful. I loved reading about your writing method and thought process. The art work is wonderful too. Thank you for having a giveaway. I can't wait to get my hands on this one. Thank you so much! I, too, absolutely love Janet's art work. She is one talented lady! I'm glad you like the artwork! Thank you. I hope you get your hands on the book soon! I feel certain you will love it. Thank you, Jan, for your kind words. This sounds exciting! I have read Ms. Hahn's previous books, so I look forward to this one with great anticipation. If I am a fortunate winner, I would prefer the hard copy as I do not deal well with electronic pixels ;-). You and me both, Julia! I'd much rather curl up in bed with a paperback than a screen. Good luck with the giveaway, and thank you for your comments. Oh, Kelli, you are so kind! Thank you, and good luck. My God!!!! I am so highly excited with this book. I had read, too at JAFF, and I cried so much with this story, and I was looking forward to that Jan Hahn published it. So I am very happy that this moment has arrived. Very interesting the process of research to the book, on purpose 'never stop changing things'. Are there many changes from the published of JAFF?. It is a precious cover, Janet. What image had you taken for the back cover? This is evocative scenery. Thank you for the opportunity to win a copy and good luck for the new released, Jan. Thank you! The original of this story was only 16 chapters. It now has 23 chapters. It's basically the same story, only much improved I hope. Thinking about it for 11 years caused me to make quite a few changes, and the help of a good editor always makes me sound better. Thank you, Warmisunqu. There was not one single picture used for a model. Since we were creating a beach scene from Jan's imagination, several different pictures were used as 'models' for a starting place.Then I went to work drawing from those pics plus adding several of my own changes and alterations. I'm so happy you like the final result. I agree with Kelli! Best news of the day! I have to admit that besides getting chapters from my sister of her first book, Falling For Mr. Darcy, An Arranged Marriage was how I was introduced to JAFF too! KaraLynne did not give me any warning that it would become addicting! I think there should be some disclaimer at the beginning of Jan's books that say "Great way to start something that will never have an end". Or perhaps,"Warning: May take your ability to choose what you do with your free time away." Or perhaps in the beginning of the Journey, "Indeed it is so, for Jan Hahn wrote it. Now everyone tries to live up to her standards." I love your books Jan. I'll be the first to order it even if I do win one! I agree, Jeanna. Maybe there should be a disclaimer at the beginning! :) I think we both had a good intro to JAFF. Now you are writing your own lovely novels! (KaraLynne too. Thanks for stopping by Jeanna! Oh, Jeanna, you are so dear! I'm humbled by your comments, but thank you, thank you! One time, another writer asked me how do you get over that let down feeling that comes when you finish writing a book. For me, it means diving right back into writing another or reading another Austen writer's book. I can't ever seem to get enough of Jane's world. It certainly is addictive. This sounds like an angsty premise! 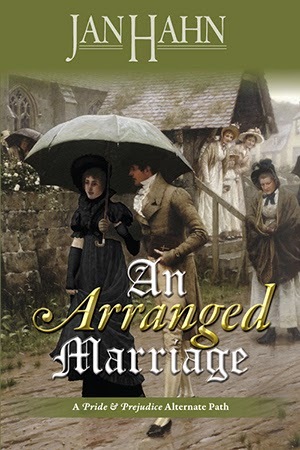 An Arranged Marriage is one of my favourite Austenesque reads, I've reread it a few times. I'm looking forward to reading this one too. Thanks for the giveaway opportunity! Thank you, Ceri! There is angst galore in this book, but some humor and romance along the way - always romance. Good luck with the giveaway. This comment is per Sophie Andrews on facebook. Sophie Andrews: I am having real trouble commenting! My comments keep deleting! 5 times I have tired on multiple devices. But I would love to enter! Could you post this for me Janet if you would? "Woohoo! I cannot wait for this next story from Jan Hahn! I love the other two and they are 2 of my favourites! I have been looking forward to this story since i heard about it as it sounds very interesting and i can't wait to see how it will all resolve! I am completely addicted to JAFF and Jan Hahn is partly to blame for her wonderful stories were 2 of my first! Thank you again for this giveaway and good luck with the new release! Even if i do not enter I will be buying this book as soon as it becomes available!" I, too, am sorry that you had problems commenting, but thank you so much for your kind words, Sophie. I hope you enjoy my story. I'm sorry that it's causing you problems, Sophie. I think something must be wrong with Blogger. I had trouble with the post. It seemed to have a life of its own. Thank you Janet! I have had this trouble in the past before but normally it works for I have commented before... Anyway hopefully it will right itself - if it has this comment will post! I was not expecting that to work - clearly the problem has righted itself! For Sophie: I too had those problems with all Blogger sites on my old computer. It may be because you need to allow pop-ups or cookies (I had been being vigilant after a bout with spyware). It was seven years old and I got a new one last month. Woo-hoo! Jan, you are truly one of the best authors in Austen-inspired fiction. 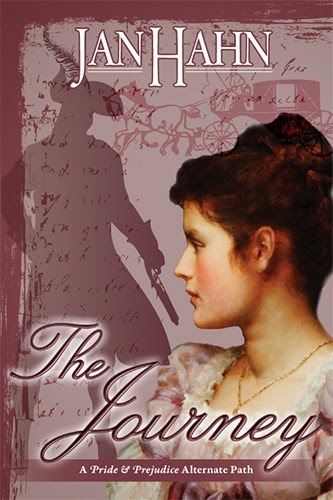 When my mom was waiting for my book to come out, I bought my all-time JAFF fave, "The Journey," for her to give her a sense of the genre, since it had to be something good. Plus I think that story was totally her style! But I have plenty of scenes in your other books that come back to me almost as if I was watching a movie. I could go on and on, I'm such a silly fangirl! I'm looking forward to this book and the new work that's part of it. What an adventure! Thanks, Janet, for a cool interview so we all could know more of Jan. Also, I've gushed over that cover lots already, but I have to repeat myself: it's just lovely in so many ways. Thank you, Suzan! Your generous comments mean a lot coming from a fellow author. I appreciate your sharing my book with your mother. And I'll join you in gushing over Janet's wonderful cover. I'm happy you stopped in for the interview, Suzan. Isn't it interesting how some of those scenes do keep replaying like a movie in your mind? The Harvest Ball in "An Arranged Marriage" is one of those for me. In "The Journey" the cave is one of my favorites. Your praise for the cover is truly appreciated, Suzan. Yours, too, Jan. I had a great time doing it. I absolutely adore your style and fell in love with 'The Journey', 'The Arranged Marriage' and 'The Secret Betrothal' a VERY long time ago! And who can resist the temptation of a copy with Janet's stunning cover? Thanks for the chance to enter the giveaway and I'm delighted to see this book published! Thank you, Joana. I am so glad that you popped in. Thanks so much, Joana! You've probably been a part of the JA community as long or longer than I have. Janet tells me your latest book is wonderful, and here's wishing you great success. I'm afraid you won't like who she's engaged to, but I hope you enjoy the book. Thanks for your comment. Susan, I hope you get a chance to read all three of Jan's published books. I think you will love them. That interview just left me tantalized for what is to come in the story. I love little twists to see how it affects the characters and takes things down a different path. And Brighton... I love the sea too. The cover is lovely Janet. Thanks for sharing ladies and for the giveaway opportunity. Thank you, Sophia! Good luck with the giveaway. Thank you, Sophia Rose. I appreciate your comments and your support. I loved your other two books and can't wait to read your new book! Thank you! You're very kind, and I hope you like the new book. This is the highlight of my day, finding out Jan has a new book coming out and very soon! :) I don't remember reading this one at DWG (and it sounds as if it's a very memorable story so I must not have) and I am so eager to read it. It does sound angsty but it's a premise I don't think I've seen before. Thanks so much for the chance to win. Thank you, Monica! It was one of my earliest stories at DWG. That's why it needed lots of revisions. Oh, I've been waiting and hoping for this book, I'm so glad it is almost here! I read An Arranged Marriage in 2012 and it was the starting point for my addiction to JAFF. I read The Engagement shortly after. Since then I've read what feels like hundreds of JAFF stories but An Arranged Marriage and The Engagement will always hold their place in my heart as my favourites and what introduced me to JAFF. Congratulations on publication Jan! And what a beautiful cover Janet! Thank you, Brenda! I'm honored to have introduced you to JAFF. It's always great to have another member of our special community. Thanks, Brenda! I'm happy you like the cover! O, I absolutely loved Jan's first two books, so I'm really looking forward to reading this one! I would love to win a paperback (I don't have an e-reader). Thanks for the giveaway! Thank you! I appreciate your taking the time to comment, and I hope you enjoy my latest book. I love the premise of the story, Jan. But I'm wondering why Elizabeth would agree to such a secret engagement and Wickham's part in the story. I guess I have to find out by reading your book. Congratulations on the impending publication of your novel. That is the question! But you're right, you have to read the book to find the answer. Hope you enjoy it, and thanks for your comment. I thoroughly enjoyed your first 2 books. I'm intrigued ad to who Elizabeth could be secretly engaged to and how Darcy works through and around it. Can't wait to read it. Thank you, Deborah! Good luck with the giveaway. Thank you, Jen! I appreciate your comments. I know I would read and love anything that Jan Hahn chooses to write and share with us all! Thank you, Jan, for the books you have written and published. Very much looking forward to reading this newly published story. Oh, my! Thank you very much for such sweet comments! Hope you enjoy The Secret Betrothal. I share you sentiments, SeldomKate! Thanks so much for visiting! I'm glad you enjoyed it, and thanks for your comment. Thank you so much, Joy, and I'm sorry you had problems posting at Meryton Press. By the way, do you have a release date? I've been haunting Amazon.com daily to check. Joy, it could be released any day. Maybe next week if not this one! :) Thanks for stopping by. Really enjoyed the interview, Janet! Jan, as you know, I am a big fan and I've been waiting for this reworking of The Engagement for a while. I love that Janet has done the beautiful cover for it too! I think I progress my writing in a similar way to you, by the sounds of it, and the characters lead me a merry dance too! Loved the reference to Fountains Abbey (it's not far from where I live now and we visit it often). Follies are great fun, and I agree the one at Stourhead for the 2005 film's first proposal was in a stunning location! I wish you loads of luck with the new release and hope very much you have others in the pipeline! Thank you both for a lovely read today! Thank you, Cassandra! You've always been such a support source for me. 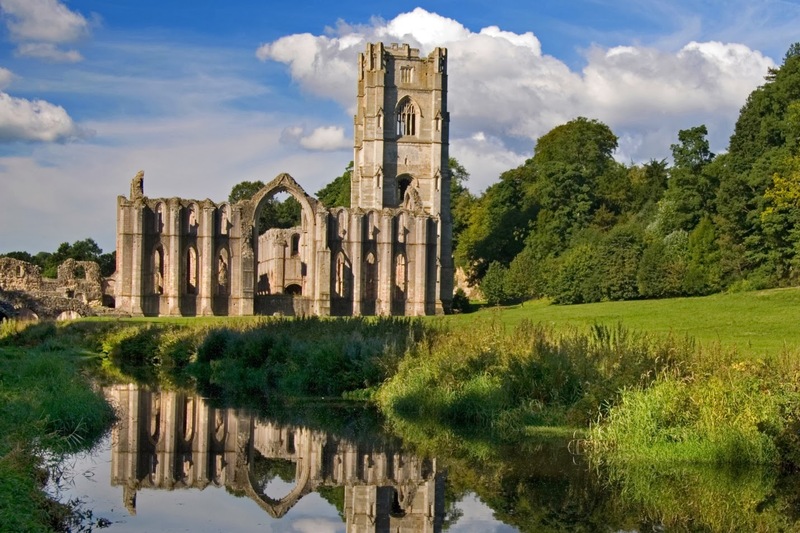 Lucky you living near Fountains Abbey. If and when I return to England, I want to visit it and Stourhead for sure (and you, too, if you're still there)! Thank you, Cassandra. I'm glad you enjoyed it. It was also a special treat for me to be asked to do Jan's cover! I'm so glad you stopped by! Happy Valentine's Day! Thank you so much! Here's wishing you lots of luck with the giveaway! Great interview. I enjoyed your other books and look forward to this intriguing twist. Thank you for the giveaway. Thank you, Becky! I hope you like the twist. Darcy did not! Thank you, Jasmin, and I send my thanks to your best friend, too! Jan I love your books. I can't wait to read this story! Oh, Mary Beth, how kind of you! I hope you enjoy the latest one. The concept of your book sound intriguing. It will be interesting to read how Elizabeth acts with another suitor. Will look forward to reading The Secret Betrothal. Elizabeth's response to this suitor is remarkably different than the manner in which she responds to Darcy. Thanks for your comments. I am so glad you have another book coming out! I always thoroughly enjoy your writings and have such a hard time putting them down! I look forward to reading all about Elizabeth and Darcy in this very different scenario. I do hope Darcy wins her over... who wouldn't?? Thank you sooo much for introducing Janet to P&P so that she could in turn introduce me!!! Also, excellent work on the beautiful cover Janet!! Thank you, Christina. I'm thrilled that you like the cover! It was my pleasure to introduce you to P&P. I'm glad that you share my love for it too! Thank you, Christina, for such kind comments! I remember you were reading one of my books when sweet little Maddie was first born, and here she is two years old! Hope you enjoy the new book. 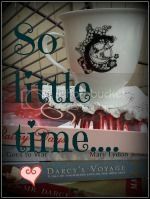 I am looking forward to reading another Jan Hahn book featuring Elizabeth and Darcy. I love the romance and the historical settings. I too love Janet's artwork. She has amazed me in her new career. I'm happy you love my artwork! I don't think anyone is more surprised than I am about this new career but it has been a very pleasant surprise. I am having a great time. Thank you for your comments and for stopping by. I feel confident that you will enjoy this new release by Jan Hahn. Good luck in the giveaway. Jan's book is now available at Amazon.com. I really appreciate your comments - thank you! Janet has so much talent. No one is happier than I am that her artwork is now being recognized. Wow, sounds really good. Looking forward to reading it. Will it be available for kindle in the uk? The publisher said that it may take one to two weeks from now for it to available in the UK. Thanks, Patricia! That is great to hear! Good luck in the giveaway. Love the interview. This is definitely a unique twist and I am intrigued. Thank you for the giveaway.